I love listening to Kpop music. It’s just so darn fun and catchy! But isn’t it hard to listen to music not available in your country? It sure used to be! Listening to the latest Kpop hit or OST song on YouTube is just not the same as having your own copy on your computer. Guys, don’t panic. I am about to change your Kpop listening habits. Are you ready for this? Aimini.net is the answer to your music problems. For the past few years I have been using this website for all my Asian music related needs. They have it all! Drama OSTs, Kpop ballads, Japanese rock, and even American songs can be found here. It’s super easy to use and unlike other downloading sites, I’ve never had an issue accessing or using this link. I can’t 100% guarantee this website, but I have tested it hundreds and hundreds of times over a 5+ year period. I can certainly attest to my personal satisfaction! 1. This is the search bar at the top of the website. Don’t worry about clicking on Web, File, or People. Your only concern is the search bar! 2. Type in what you are looking for in the search bar. 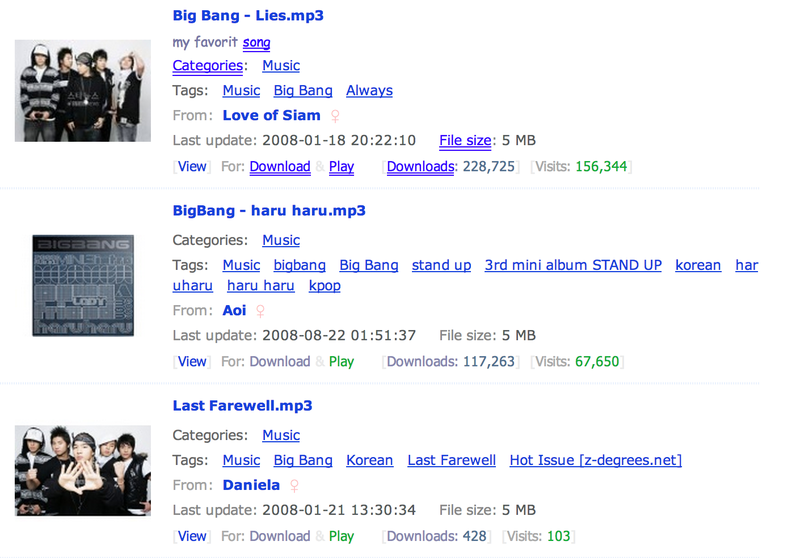 In this case, I typed in Big Bang. 3. The results will appear on the screen with 10 results per page. 4. If there are more than 10 entries, click through the list until you find the song that you are looking for! 5. Once you find the song you want, click on the title. In this case, it would be the Big Bang- Fantastic Baby.mp3 below. 6. This is the next screen you’ll see. Here you can listen to the whole song as well as download it! 7. Now for the important part: click on the mp3 file that is below Free Download Here. NO NOT CLICK Free Download Here. BE SURE TO CLICK THE ACTUAL MP3 FILE! 8. 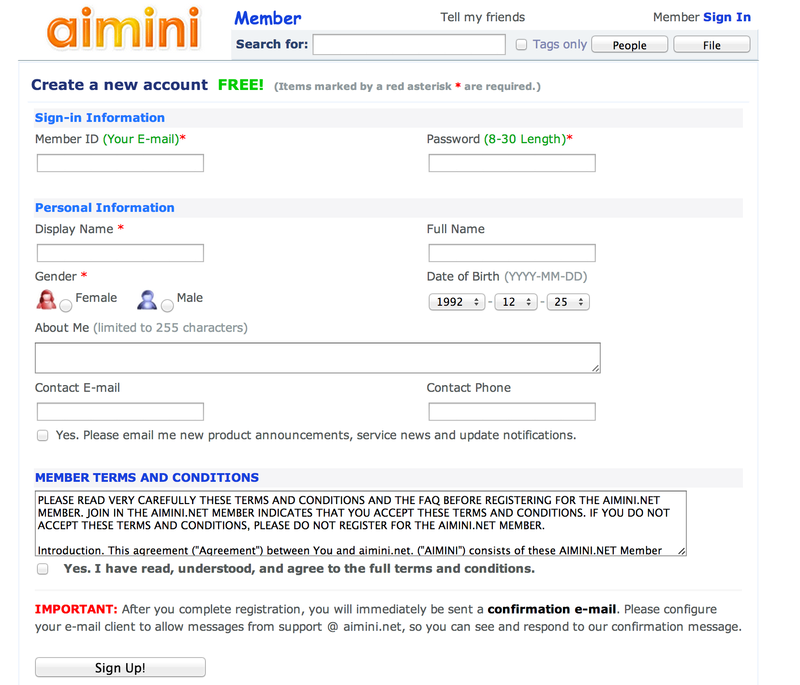 You must log in to use Aimini.net. You can click on either Sign Me Up FREE or Create a New FREE Account. Both do the same thing. 9. Fill out the required information. All you need to fill out is Email, Password, Gender and Display Name. 10. Congratulations! After an email confirmation, you will be logged in. Go back to the search bar and type in what you are looking for! 11. Click on the mp3 file to begin the download. The download should appear. I use Google Chrome and the file will show up at the bottom of the screen. 12. The final step is to click on the completed download. Once clicked, your music player of choice will begin to play it! Simple right? Don’t worry if you are a bit confused. The website is super easy to use and you’ll quickly figure it out! Sometimes, it’s a bit harder to find the song you are looking for. If the English title isn’t coming up, you may need to hunt down its name in its native language. Ex: For a Korean song, find the Korean name. For a Japanese song, the Japanese name, etc. 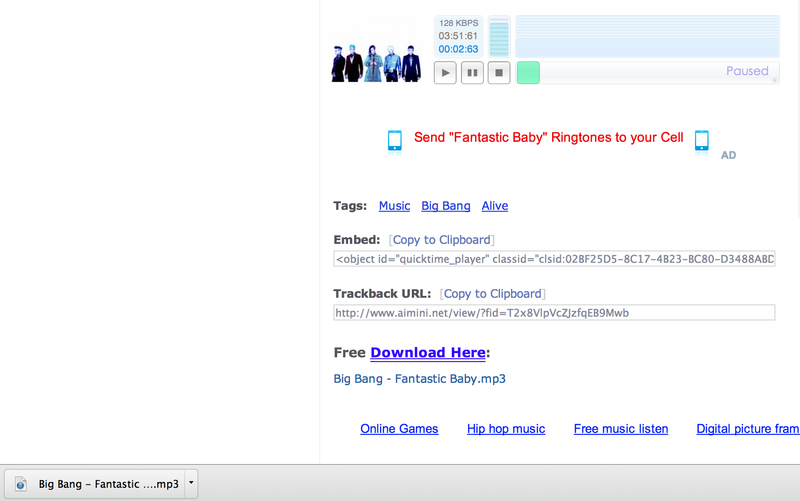 For instance, I wanted to download FT Island’s new song Madly. But not to worry! I then quickly went over to Google and found the Korean name next to the English one. I am rewarded with the song! 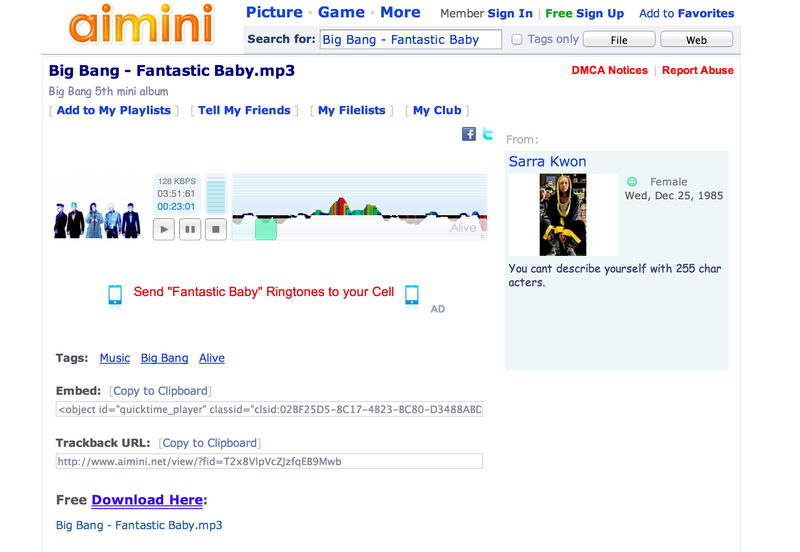 Just be aware that you may need to try different variations of the name to get your desired mp3. Soon you’ll be a pro at Aimini! Here’s a sampling of songs you can get. Your imagination is your biggest limitation! What do you think of Aimini? Please let me know if this was helpful! Listening to Kpop music will never quite be the same, right? I really wanna try this. Thanks! I also switch back and forth between Aimini and iTunes. It really depends on how much I like the artist and if iTunes actually carries the song. Aimini is a great back up!